Are you interested in growing your own fruit, learning, or refining, grafting skills or preserving heritage fruit varieties? Watershed Landcare and the Heritage and Rare Fruit Network will be hosting a fruit tree grafting workshop in Mudgee in July. The Heritage and Rare Fruit Network has been conducting grafting workshops each year since 1990 with the aim of propagating and sharing heritage fruit trees which people of past generations cultivated as part of a more self-reliant lifestyle. By preserving and propagating many locally adapted fruit trees in the district and sharing these important skills they hope to ensure that the heritage varieties of the past are preserved for future generations. This is the last year that experienced grafter and lynchpin of the Heritage and Rare Fruit Network, Neil Barraclough, will be coming through the district and we are thrilled to have another opportunity to learn from his extensive knowledge and skills. The workshop will teach participants grafting skills and cover topics such as orchard design, including techniques for selecting various rootstocks in order to produce trees in a wide range of sizes suited to a range of different situations. Participants will also take home a free grafted rootstock with fruit scion (growing tip) of their choice. Through it’s members the Heritage and Rare Fruit Network have access to a very wide range of fruit tree varieties and can provide varieties more suited to people’s needs, or varieties they can’t access anywhere else. This is a fantastic opportunity to get your hands on some rare fruit varieties, often not available anywhere else. The workshop will be held from 10am – 1:30pm on Saturday 22 July at Augustine Function Centre. Booking are essential as places are limited. The cost for the workshop is $40 for Landcare members and $45 for non members and includes morning tea and lunch, grafting talks and demonstrations, and a free grafted fruit tree. There’ll also be an opportunity to buy additional rootstocks and scions at close to wholesale prices. For more information or to RSVP contact Agness Knapik, Watershed Landcare Coordinator, on 0435 055 493 or info@watershedlandcare.com.au. The Mudgee Small Farm Field Days are celebrating their 40th anniversary this year. Watershed Landcare be in attendance with a great program of lectures, workshops and activities for the event. The Mudgee Small Farm Field Days will be held on Friday 14 and Saturday 15 July at the Australian Rural Education Centre (AREC) Ulan Rd, Mudgee. Have you ever wondered how to eat sustainably in the modern world? Come along to the Straw Bale lecture room where Agro-Ecologist David Hardwick will de-mystify the modern food system and show how your choices impact on the environment, farmers and your health. Other lecture topics will cover free range pig farming, Stress Free Stockmanship, the secrets of designing a home that’s warm in winter and cool in summer using natural local products and, how you can implement regenerative agricultural techniques on your farm. Author and ‘beevangelist’, Doug Purdie, will be back at the Mudgee Small Farm Field Days this year to talk about backyard beekeeping. We have invited Doug Purdie from The Urban Beehive back this year to talk about how easy it is to keep bees on a small scale and produce your own honey. Doug’s presentation will cover the types of hive, basic equipment and the do and dont’s of backyard beekeeping. The Mudgee Bee Group will also have a display including different types of hives. Members will be on-hand to answer your questions and share their experiences. 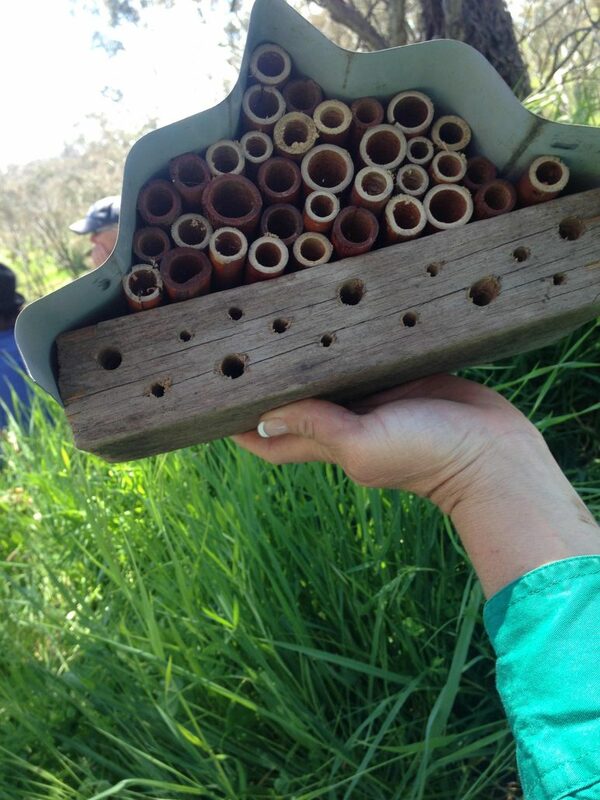 Join us for an active workshop building bee motels and learn about our native pollinators and how to provide habitat for them in your backyard. Hone your skills in spotting the difference between serrated tussock and the innocent native bystanders at a workshop in which you will learn how to identify the key features of these plants. We will have also have plenty of information and displays at the Waterwise Garden demonstration site, locally grown, native tube stock for sale, and, of course, our beautiful display garden of waterwise and salt tolerant plants for the Mudgee district. Do you have a mystery plant growing in your paddock or bushland? Bring along a specimen to the Watershed Landcare botanist/grazier Christine McRae to identify (bring a GOOD sample, including leaves/roots/stems/flowers/seeds if possible). Or just drop by for a chat with other Watershed Landcare members, thaw out by our fire and find out what we do, how to get involved in our projects and become a member. Pollinators are vital to keep plant species flowering and re-producing. But did you know that many of our food crops such as fruit, wine grapes and vegetables rely on native insects for this service? Australia has about 1,600 species of native bees, with around 250 to 300 species being found within a 100 kilometre radius of any given area. Many native pollinators are also predators, feeding on other pest insects. Wasps, hoverflies and shield bugs can reduce the numbers of insect pests in orchards, vineyards and other agricultural crops as well as your ornamental or veggie garden. Many native pollinators are under threat; land clearing and the extensive use of pesticide and fungicide sprays have removed their food source and their habitat. With over 75% of flowering plants relying on insect pollinators for reproduction, the decline of their populations is bad news for biodiversity, ecosystems and the security of many of our food sources. Whether your backyard is a farm, bushland, suburban block or a balcony you can help to support and protect native pollinator populations. Valuable pollinator habitat can be created by maintaining and enhancing native vegetation, planting lots of flowering plants and minimising or eradicating pesticide and fungicide use. You can also provide habitat for cavity-nesting insects by bundling together hollow stems from pruning. Native bee hotels or motels not only provide plenty of nooks and crannies for these beneficial insects to nest in but can be very decorative as well. These can be made in all shapes and sizes, the only limit is your creativity! If you would like to learn more about our native pollinators and how to provide habitat for them in your backyard, Watershed Landcare will be hosting workshops to help you build your own bee motel at the Mudgee Small Farms Field Days in July. The ideal time to control most weeds is when they are actively growing. This is usually in the warmer months. There are a few that can be controlled at any time of the year. Two of those significant to this area are Serrated Tussock (Nassella trichotoma) and Cineraria (Cineraria lyratiformis). Both species are, unfortunately, common, and have adaptations for wind dispersal, but can also be spread by water, contaminated fodder, animals and vehicles. Cinneraria has bright yellow flowers with eight petals which are borne in flat topped clusters at the ends of the branches. Mature leaves are oblong in shape and deeply divided. Juvenile leaves are small and rounded with soft serrations, somewhat similar to geraniums. Cineraria is an annual plant that can grow and flower through winter. Being an annual, the root system is not very extensive and most plants can be pulled out. This plant has the ability to produce seeds even if it is pulled out with young buds present. Therefore plants with any sign of a flower or bud must be bagged and later destroyed. At present there are no chemicals registered for Cineraria lyratiformis. Cineraria is palatable to sheep and can be effectively controlled by confining a number of animals over an infestation. This plant is highly invasive and a dense perennial pasture is the best way of preventing seedling survival. 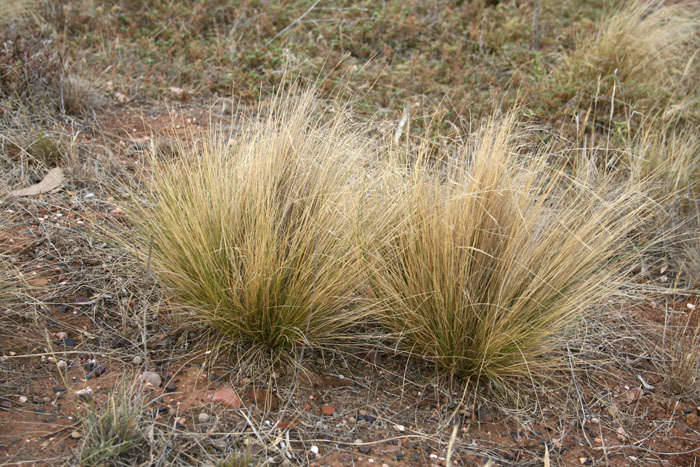 Serrated Tussock is a highly invasive perennial grass, which, if left untreated, can take only seven years to dominate a pasture or native grassland. It has virtually no grazing value due to a high fibre and low protein content. e and when rolled between the index finger and thumb, roll smoothly – like a needle. In Autumn and Winter the leaves are a yellow-green, the tips of older leaves are often bleached by frost. Isolated Serrated tussock plants can be dug up before flowering and turned upside down so no roots make contact with the soil. Fluproponate is the main chemical used in the control of Serrated Tussock. It is a residual chemical that will stop seedlings emerging for a period of about 2 years. Fluproponate is somewhat selective in that it will only kill certain types of grass. However, many of the grasses susceptible to Fluproponate are highly beneficial. As with Cineraria a dense perennial pasture is the best way of preventing seedling survival. 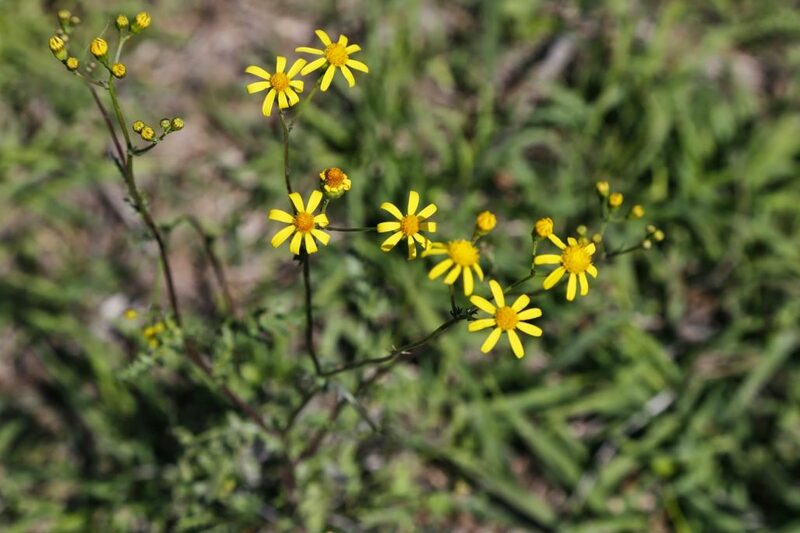 Further information for identification of Cineraria can be found on the web, for example http://www.dpi.nsw.gov.au/biosecurity/weeds or http://plantnet.rbgsyd.nsw.gov.au. There are also many good resources for Serrated Tussock on the web. However, Serrated Tussock as a grass is a lot more difficult to identify, and more importantly, to distinguish it from other similar species. A hands on approach is recommended. Watershed Landcare will be offering a short session to help landholders identify Serrated Tussock and other similar grasses at the Mudgee Small Farms Field Days in July. 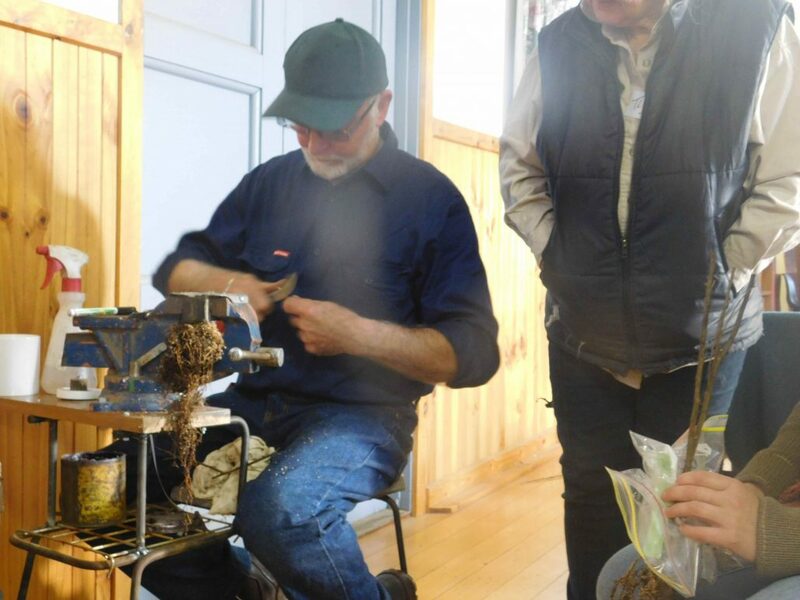 After a successful and booked our course earlier in the year, the Mudgee Bee Group have invited Bruce White OAM back to deliver another beekeeping course in August. Renowned beekeeper and industry expert, Bruce White OAM has spent his career in the apiary industry in NSW DPI. He has extensive knowledge of rural beekeeping and frequently delivers courses for Local Land Services and the Amateur Beekeepers Association. Participants for the February course came from the local area and further afield, including Parkes and the Capertee Valley. In no time at all Mr White had people opening hives, lighting smokers, trapping pollen, finding the ever elusive queens in amongst her thousands of offspring and catching and marking drones. “The course was fantastic; it covered a broad range of topics and best of all it was hands on. The natural way Bruce handles bees instilled confidence in all of us.” said Mudgee Bee Group President and course participant Beth Greenfield. 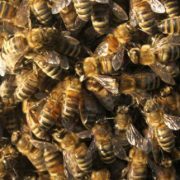 “We used the Mudgee Bee Group’s 4 hives to practise on and it was invaluable to hear his opinion about their health and ongoing management.” she continued. The Mudgee Bee Group will be hosting another course in August and invite novice and experienced beekeepers, as well as people interested in starting up their first hives, to attended.